We had water damage to our inventory of packing supplies, which we had to dump; we had jobs cancelled and a large amount of lost revenue due to customers unable to move during and after the storm; loss of revenue due to contractors not showing up to work because of their own personal situation during/after the storm. The Bridge Loan not only allowed us to remain current on business expenses, but it also allowed us to offer small advances to contractors so they could come back to work. Most importantly, though, it gave us an opportunity to relocate into a larger location, allowing us to offer more job/work opportunities to people. The assistance provided in the loan process was unsurpassed. From the immediate notification of its availability from the Florida SBDC and Clay Chamber, to the submission of documentation for review, to the PROMPT approval answer, and finally the issuing of funds. I wish all financial transactions were this pleasant and stress free. 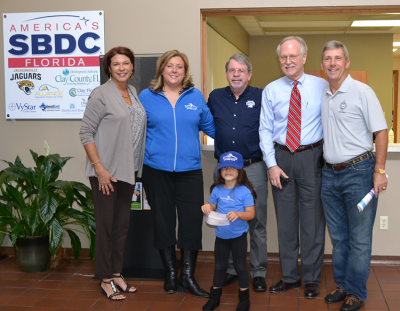 From my own experience, the Florida SBDC at UNF is an amazing asset to small businesses. I personally have been able to utilize trainings, networking events, and business funding. The Florida SBDC at UNF shows a strong presence, not just on a broad spectrum, but locally through Chamber of Commerces, JSEB office with the City of Jacksonville, and the UNF campus. It is obvious that a large amount of time, focus, and dedication is put towards helping and growing small businesses. "The assistance provided in the loan process was unsurpassed. 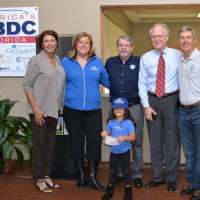 From the immediate notification of its availability from the Florida SBDC and Clay Chamber, to the submission of documentation for review, to the PROMPT approval answer, and finally the issuing of funds. I wish all financial transactions were this pleasant and stress free."